Keeping in mind the diverse requirements of our clients we are involved in offering an ample range of Kandla Grey Borderstones. The complete range of our products is manufactured by our reliable vendors using premium grade base material and advanced technologies. These are available in various shapes as per the clients choice. Rainbow more popularly known as Khatu Rainbow has fine grained quartz. 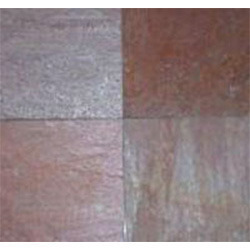 The other mineral composition imparts attractive color variation in form of brown, violet and sometimes reddish veins. 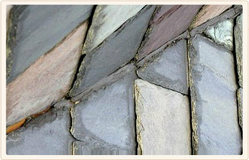 This regular color variation has got it's name as rainbow, available in tiles in sawn finish only. We are offering our clients with a quality range of Crema Stones. These concrete stones act as a perfect and elegant replacement of bricks or other stone kerbs. Available in numerous shapes and sizes, these stones suit all the specific applications of our customers. All side Machine cut but splitt face Basalt stone for wall clading. Size 15 x 30 x 5 c.m.